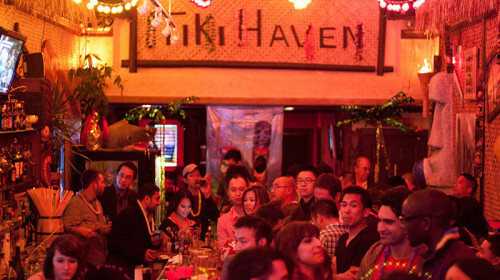 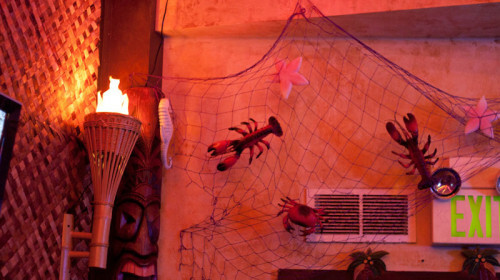 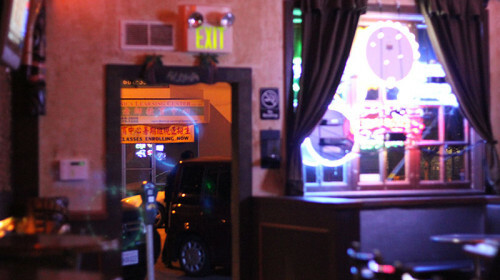 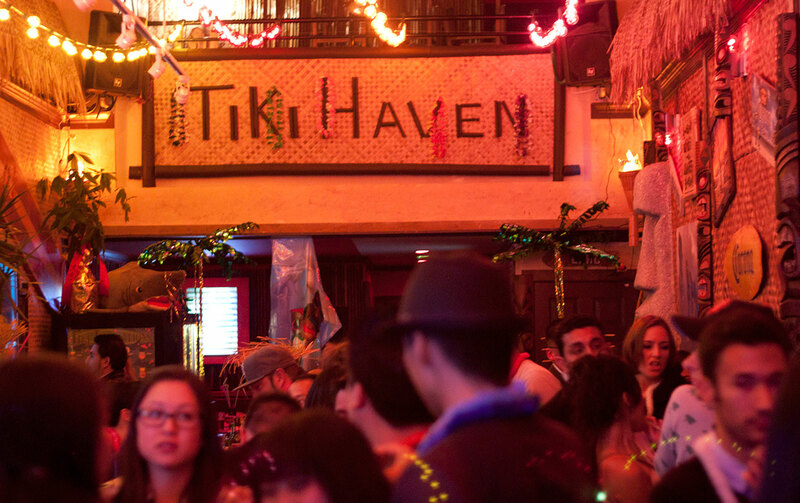 Tiki Haven is a tropical vacation spot right in the Outer Sunset! 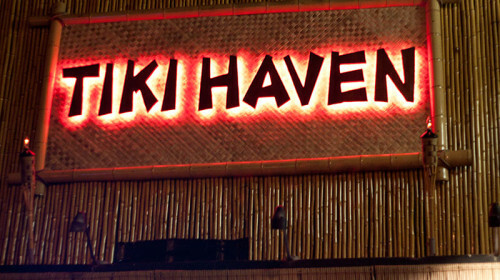 Serving world famous classic and exotic cocktails along with many original recipes, along with some tasty snacks, Tiki Haven is a retro-oasis in the desert of your busy modern day! 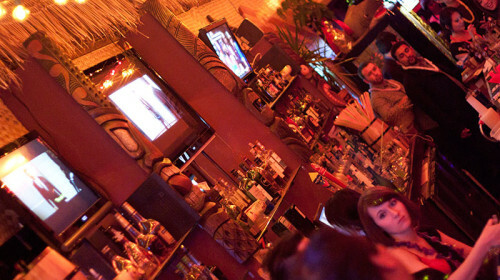 The dreamy decor and colorful assortment of decorative exotica will instantly transcend your mind and body of what a typical neighborhood bar should feel like. 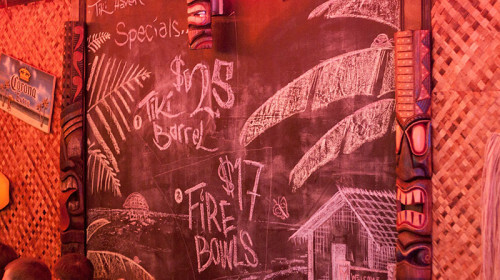 is our signature blended punch made with rum, vodka, and gin with cranberry and your choice of fruit wild berry, strawberry, peach, or passion fruit. 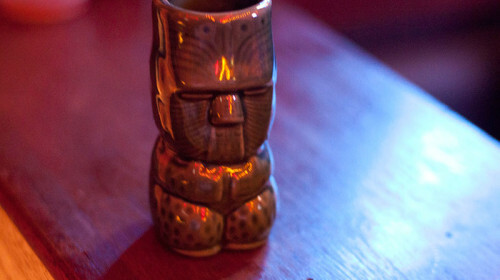 This drink packs a punch as well. 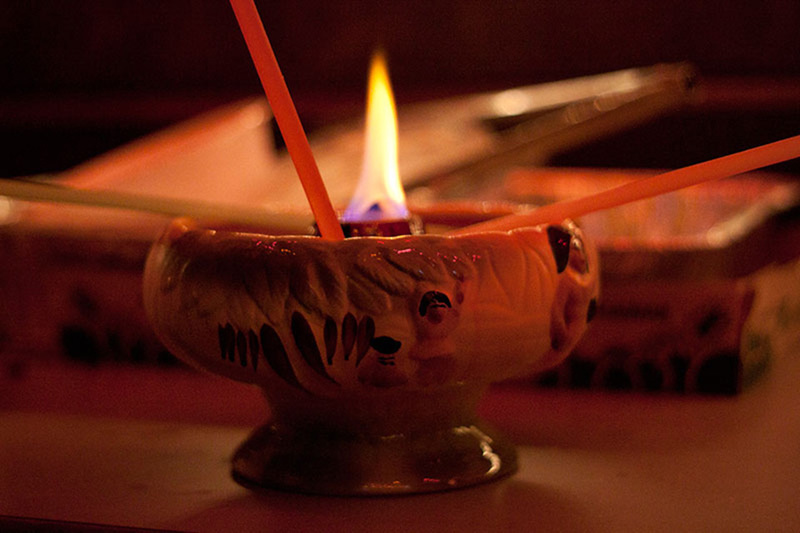 Served in a large volcano tiki bowl with a fiery surprise. 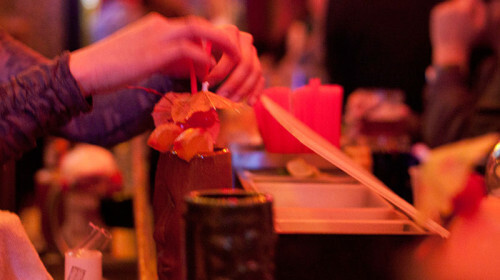 Serves 2–4 people.